This is what I read as I glanced at twitter this morning. Don’t get me wrong. I’m not complaining. I love that my husband is a chef. I love that when he is home, he cooks, because the food tastes SO MUCH BETTER!! I love that I can show him a recipe and he can immediately tell if it’s going to turn out. I love that he currently has 12,206 files in his recipe directory on Google Drive. I love how handsome he looks in his chef coat each morning when he walks out the door. The list could go on and on . . . But let me let you in on a little secret, in case you are reading this and are not married to a chef. 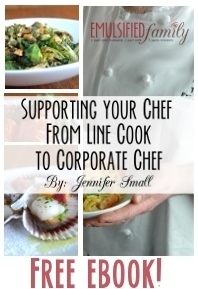 The life of a chef is not as glamorous as it looks on the Food Network. Let me give you a few examples . . . He doesn’t cook much at home because he’s at the restaurant cooking for everyone else (especially around holidays). I’m alone with the kids A LOT. He works a crazy amount of hours. Because of his long hours, I’m often lonely (which is funny because I am rarely alone). My husband works when everyone else is off, which means we don’t have many friends together as a couple. 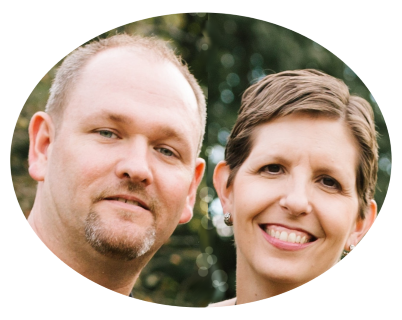 Sometimes it feels as if we have two different lives that come together a few times a week (thus the reason for the name of the blog – Emulsified Family – combining things that are difficult to put together, like restaurant life and family life). Not many people are willing to cook for us. Those that are brave enough, tell me they stressed about it for quite a while before we came over. I always tell them my husband’s favorite food is Top Ramen. Will you help me spread the word about my blog by pinning, sharing or tweeting this post? Thanks for your help! But let me let you in on another little secret . . . I wouldn’t change any of it. There is no doubt in my mind that this is the career that God has chosen for my husband. It’s not easy being married to a chef. Along with the things I love about it, come the things I struggle with. Many times, it feels like I am the only one in the world feeling this way. But I know I’m not! So what about you? 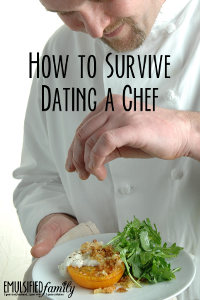 Did you stumble upon this post because you googled, “What is it like to be married to a chef?” Are you lonely and struggling as your significant other heads out the door to the restaurant each day? YOU ARE NOT ALONE!! 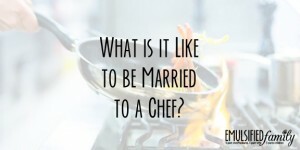 I love reading what other chef wives and girlfriends have to say about being married to a chef. I love not feeling so alone! However, I realize that I am just one person sharing my story. And while my chef/husband has held every position in the kitchen from Line Cook up to Chief Culinary Officer, everyone’s story is a little different. So guess what? I have great news!! 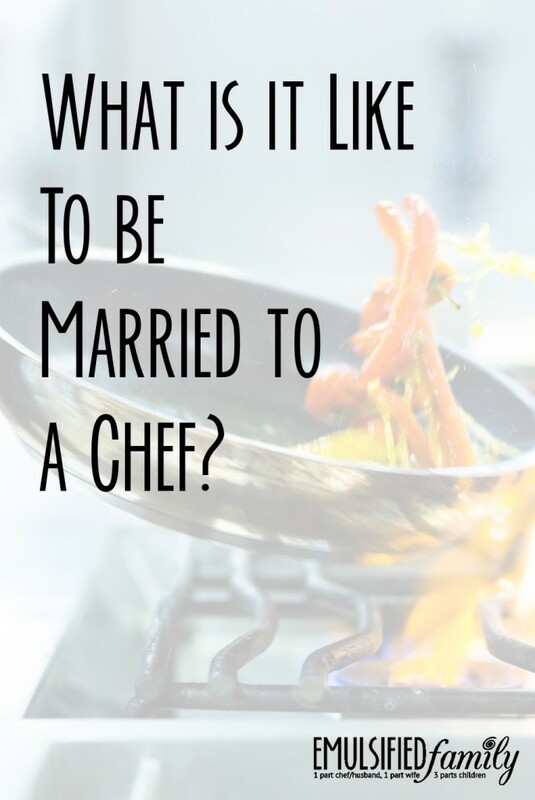 I have some other chef wives and girlfriends who are willing to share what it’s like to be married to a cook/chef in each position in the kitchen! I’m so excited to share their stories with you. While I have shared mine briefly in my e-book, it’s always nice to hear from someone else! So starting next week, I’ll be posting a new post in this series every Friday and we’ll work our way through the different positions in the kitchen! Make sure to check back each week for a new post. Before you go, I’d love to chat, email, tweet, Facebook message or connect with you in our closed Facebook group. Let’s talk, pray and share what’s going on in our lives. Let’s support each other in this crazy life where we try to emulsify restaurant life and family life. I know it can be done! It’s just not easy! View all posts in this series here!